Chaudhary Homoeopathic Clinic provides all sorts of homoeopathic medical treatment services. 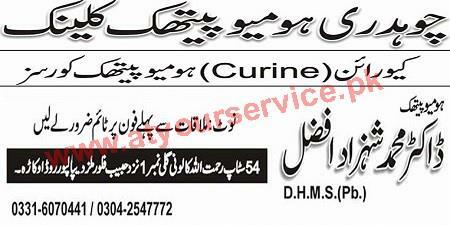 Chaudhary Homoeopathic Clinic is located on Depalpur Road, Rehmatullah Colony, Okara. It provides all sorts of homoeopathic medical treatment services.